There had been reports in the Blogger Help Forum that bloggers have been presented with a Dashboard with no blog listed. If you found no blogs in your Dashboard, what you should do is to visit one of your blogs while logged in and if you can see the quick edit orange pencil icon and the wrench and screwdriver icon , then you can be absolutely sure that you are logged into the right account. 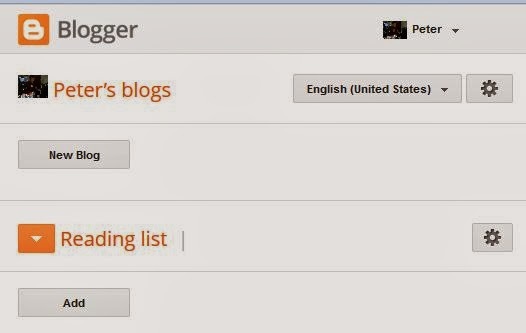 So if you want to get into the Blogger Dashboard to do something, just click on the orange pencil icon on one of the post to get to the post editor of that post, close the editor and you will be in the Dashboard of that post and you can get to the Dashboard for the whole Blogger account by clicking on the Mr. So & So's blogs, and you will then see the list of all your blogs. Another way I found I could get around this problem is to use a different browser. This happens to me frequently, but all I do is refresh my screen. 99 times out of a hundred, everything is suddenly back to normal.